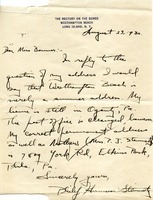 Philip Harrison Steinmetz replies to a request for his address and clarifies his permanent address. 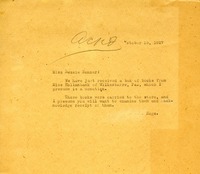 A note informs Miss Bonner of new material sent to the library. 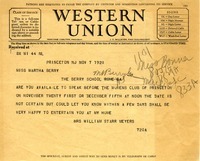 Mrs. Meyers asks if Miss Berry would be available to speak at the Women's Club of Princeton. 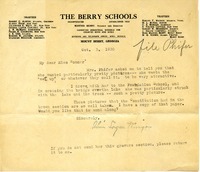 The date is not set yet, but Mrs. Meyers could let her know within a few days. 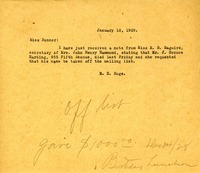 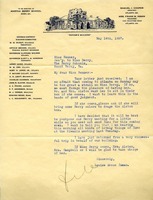 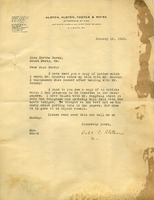 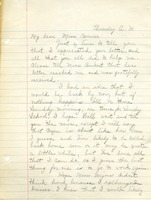 Mr. Hoge writes to Miss Bonner asking if she will examine the books the Schools just received.